A few years ago The Elifar Foundation funded a wheelchair buggy for Nathan who is now 15. 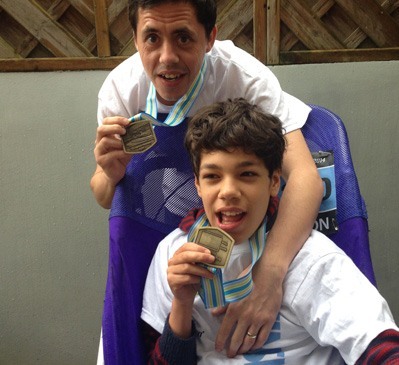 It has enabled the family to do many things with Nathan that they wouldn’t have been able to do otherwise. 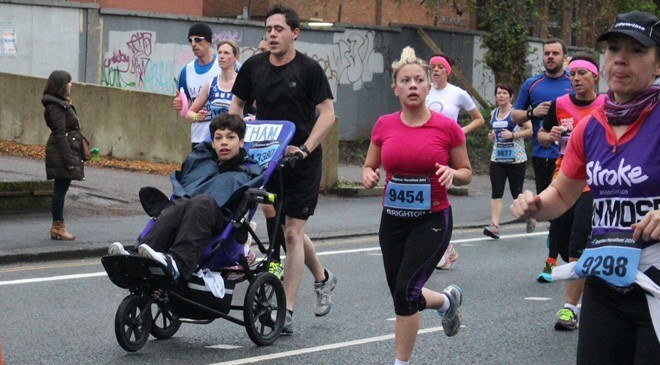 Most significantly, early in 2014 Nathan’s father, Ricky ran the Brighton Marathon whilst pushing Nathan in the buggy.